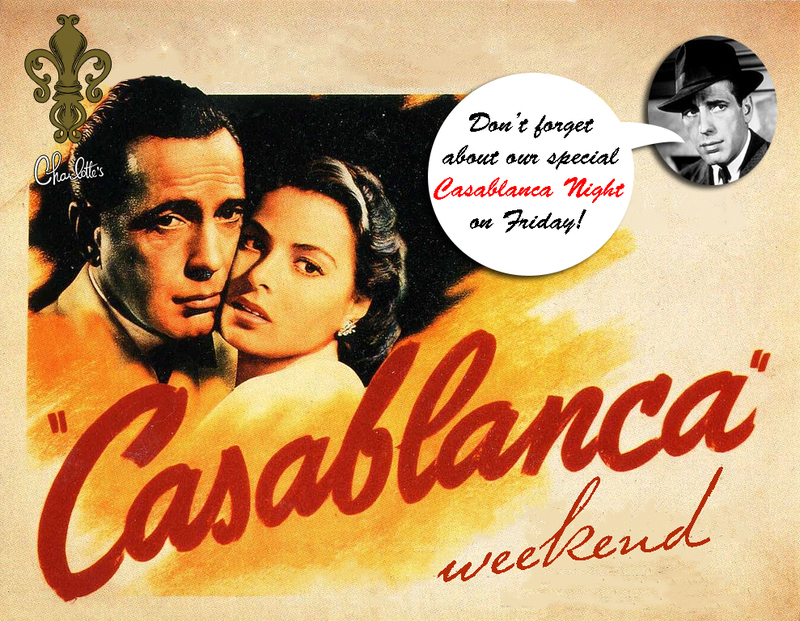 Don’t forget that Friday night is our special Casablanca Night! Deep Pockets will be playing the music of Casablanca and the party will be jumping. Theme dress for the period is optional on Friday, but we’d love to see it! Remember to grab the password before you head to the speakeasy! Ask about our specialty drink of the weekend! New opening time from 7pm – 1am. Performance by Black Tie Brass.